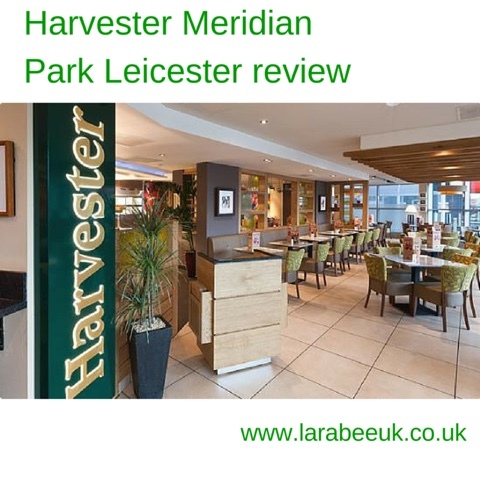 We were recently asked to visit the Harvester restaurant in Meridian Park, Leicester to try out their new menu. 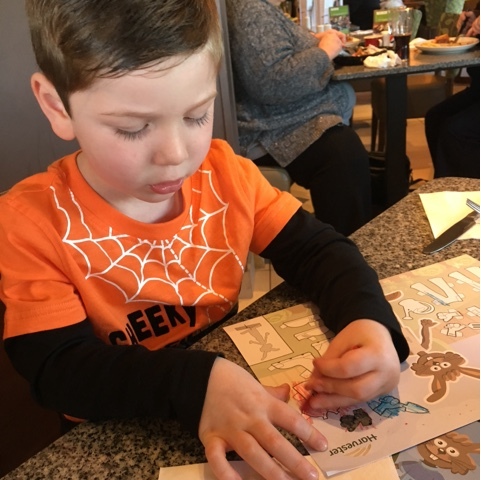 I must admit, in the past The Harvester hasn't been my restaurant of choice because of the poor vegetarian options, but it's great for kids and The Hubs can always find a nice steak to enjoy so we said we'd like to. 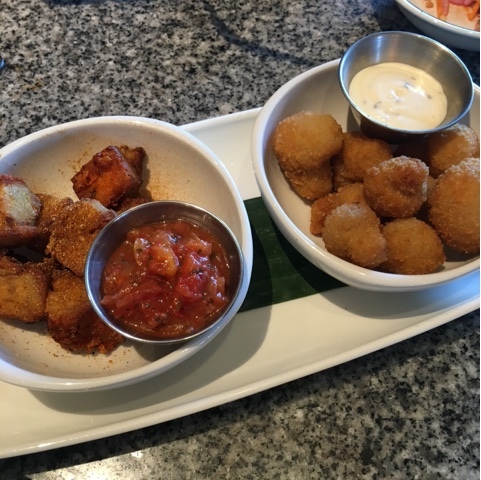 Our first impression was how nice the restaurant was, far nicer than the ones we have visited (over 6 months ago). The decor was bright and airy and the atmosphere was was very lively and very family friendly. Both the manager who seated us and our server, Sam were fantastic, really friendly and attentive. We were really impressed with the new menu for me the better quality and improved vegetarian options were a lovely change, we ordered Dorset cheese bites and deep fried mushrooms for a starter, both of which were lovely, the Dorset cheese bites were from the new menu and I'd certainly order those again, the mushrooms are from the old menu but always a good choice for me. 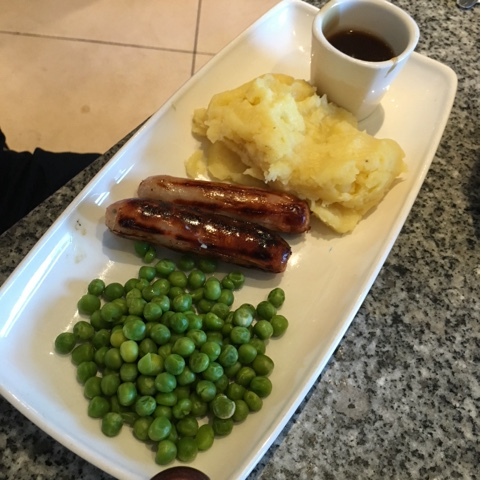 We ordered T sausage and mash from the smaller bites kids menu which came with the salad bar. We enjoyed the new options on the salad cart, it was great to see tabouleh and olives available and T enjoyed the regular choices of cucumber, peppers and bread roll. It also seemed that there were more actual salad options rather than potato salad, pasta salad etc which for us was better. 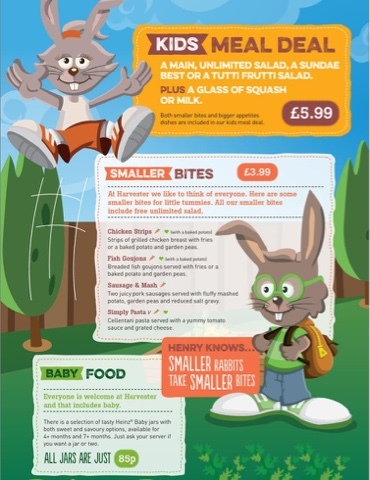 T's meal was a good size and just right for him, fantastic value for £3.99. 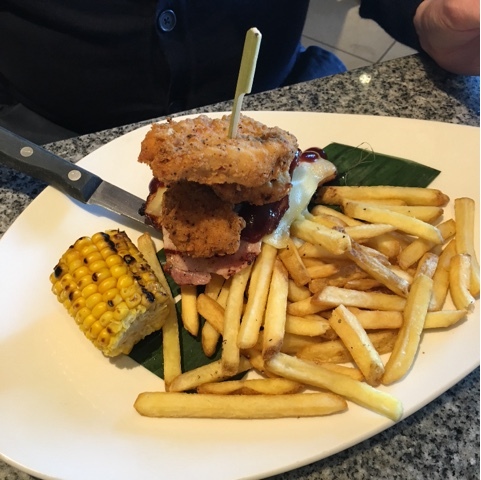 The Hubs ordered the BBQ chicken and bacon stack which at £9.99 he felt was great value. 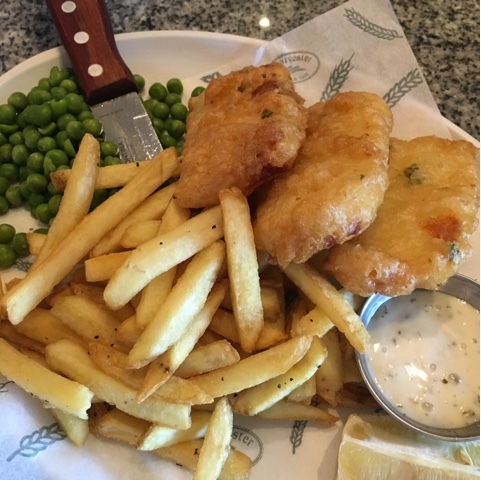 I ordered the herb batter halloumi and chips which was £7.49 again very good value, for a really good portion which was delicious. My only tiny criticism would be that it really didn't need the paper underneath, yes it looked good but it made cutting difficult and getting bits of paper in the food. 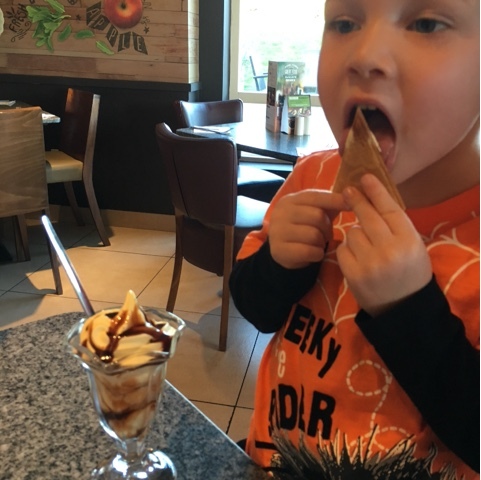 T had a sundae best from the kids menu, priced at £1.29 you really can't go wrong, ice-cream and chocolate sauce, a perfect treat for kids. 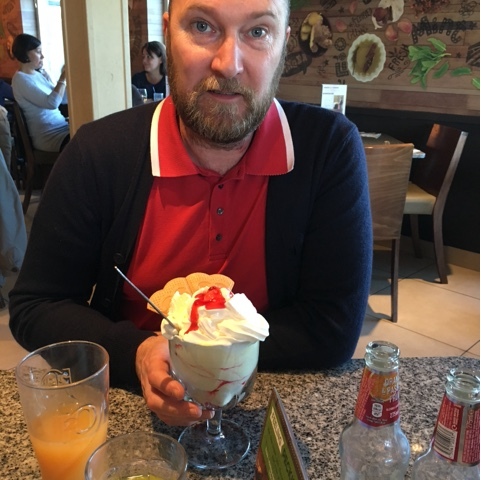 The Hubs had an Eton mess sundae which he loved. 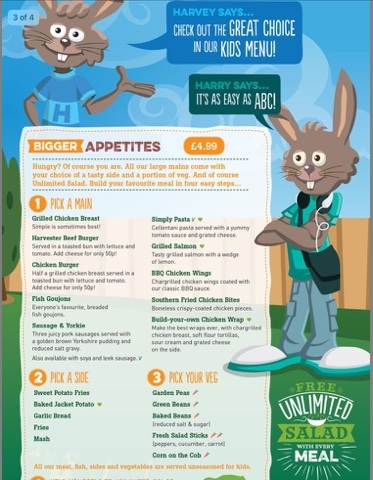 All in all my opinion has really changed and I would certainly visit harvester for a family meal in the future. 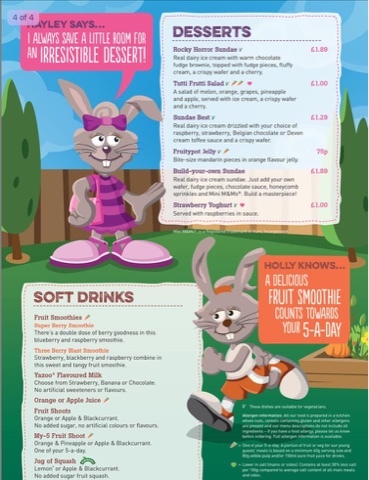 It would be great if they offered a fixed price menu or 2 for 1 meal deals like other similar restaurants do. If we had to score out of 5, we'd definitely give them 4 stars, this would be 5 if they offered meal deals. Disclaimer: we were offered a complimentary meal in return for our honest feedback.